About Construction & Design, Inc.
Construction & Design, Inc. was established with the encouragement of customers and subcontractors. We are committed to help guide clients through construction projects both large and small. 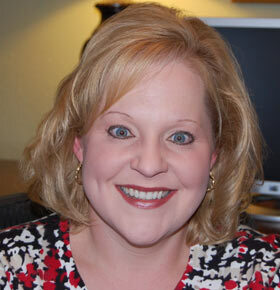 Terri earned a bachelor’s degree from the University of Houston. She has 24 years of experience in the business — as the owner of a construction company for 11 years and a facilities manager / assistant vice president for a Fortune 300 company for 13 years prior This corporate/client-side experience enables Terri to bring a unique viewpoint to her customer’s projects. Terri also has experience in construction management, as well as with all the intricate details of opening and moving an office. She’s adept at coordinating both commercial and residential projects from start to finish – whatever your project requires. Nick started with Construction & Design, Inc in May of 2015. He has over twelve years of construction experience with much of his experience in focused in military housing, new production homes, historic renovations and various military projects. He relocated to Houston, Texas with his wife in 2015. He works as an onsite superintendent overseeing and coordinating all facets of a project. He also serves as a project manager assisting with pricing, scheduling and the purchasing of materials. Nick brings years of experience and knowledge to every job. 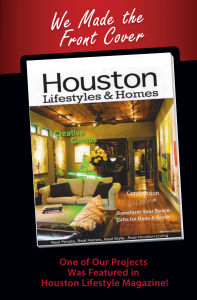 Proud to say that one of our projects made the cover of Houston Lifestyle Magazine. Industry experience, diverse backgrounds, and superior client focus help us bring a wide spectrum of know-how to your project. We take pride in working with our clients to make their ideas a reality. Construction & Design, Inc. was established at the encouragement of customers and subcontractors as well as a commitment to help guide clients through construction projects both large and small.